You can’t miss this Venetian Baroque palace if you wish to understand how a noble family lived in the 18th C. The Rezzonico Palace on the Grand Canal was a private home up to 1935 (Robert Browning died here) and still retains several original frescoed ceilings, especially impressive in the ballroom. Now a museum that gives the feeling of a house of the 18th C., it displays paintings by Canaletto, Guardi, Longhi, pastels by Carriera, extravagant wooden sculptures by Brustolon, Rococo’ pieces of furniture, German Meißen and Venetian porcelain, and last but not least colourful Murano glass chandeliers and etched mirrors, all in an exceptional restored setting as the museum was reopened only 2001 after decades of restoration. The noble family Querini Stampalia died out in the late 19th C.; that is when the palace was bequeathed by the last owner to the city. One floor was transformed into a library according to his wishes, the second floor became a museum that offers an insight into the life of an average noble Venetian family in the 18th C. All collections of paintings, furniture, chandeliers, music instruments and porcelain service are original to this family and to this location. 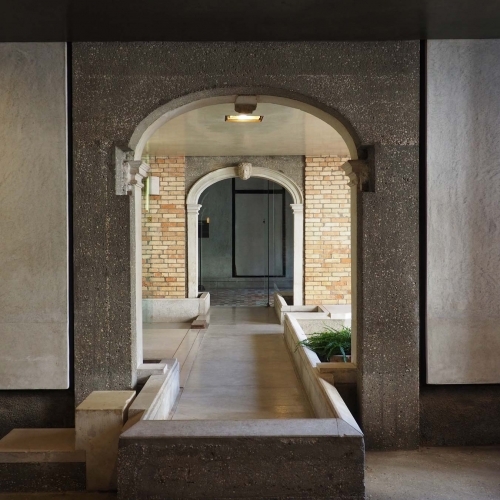 Not to be missed the restoration in the late Fifties by Carlo Scarpa on the ground floor, the construction of the little bridge, the rearrangement of the garden and the more recent renovations started in 1994 by Mario Botta as a result of acquisition of close nearby property. The last Mocenigo generously bequeathed in 1954 his private home to the city. 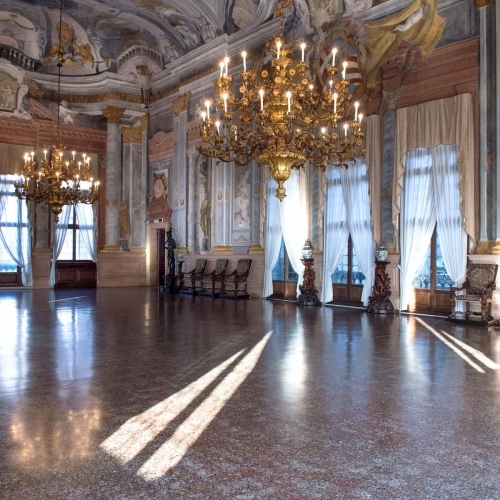 The Mocenigo Palace in the district of Santa Croce provides the visitor an idea of the interior of a palace in Venice with frescoed ceilings, Venetian glass chandeliers and terrazzo floors. 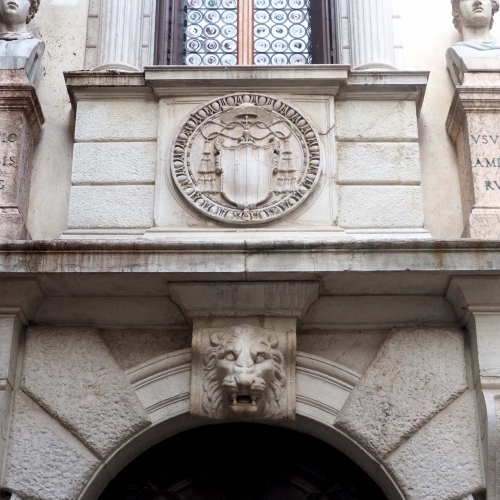 It is the seat of the museum of textiles and costumes and offers a new itinerary dedicated to the story of perfume and fragrances in la Serenissima. Then we will stroll through quiet and pretty areas in this district of Santa Croce off the beaten track. 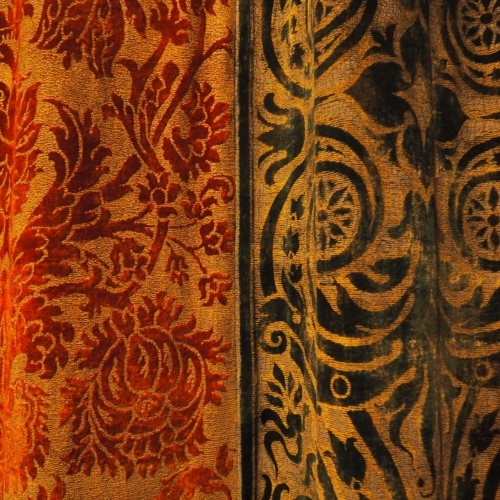 We visit the superb Gothic Pesaro Palace that houses the creations of the Spanish artist Mariano Fortuny, a famous eclectic artist, a lighting engineer, a photographer, a painter, a Wagner fan, and above all a fabric designer and the inventor of the Delphos dress and Knossos scarf in fine pleated silk. He lived and worked here for many decades receiving the most famous ladies of the time before opening a new factory on the Giudecca island. The museum is often seat of temporary exhibitions. After the visit of this breathtaking place with his lamps, textiles, inventions, we continue through some areas in the district of San Marco. The last owner, the Venetian Baron Giorgio Franchetti, donated his Palazzo on the Grand Canal, the Ca’ d’Oro, to the State of Italy in 1916. His collection comprehends Tuscan paintings, Renaissance furniture, bronze medallions, statues and ceramic vases exhibited on the first and second floor; the masterpiece is doubtless Saint Sebastian by Mantegna. 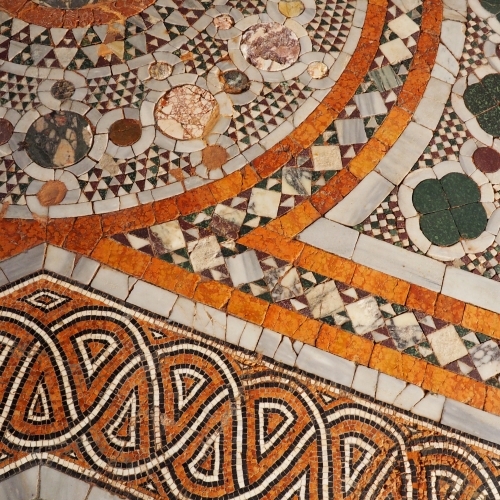 On the ground floor you will be stunned by the polychrome marble floor with marvellous geometric patterns and on the terrace of the first with the Gothic trilobes by the view over the Grand Canal. After this visit we will stroll through some areas in the residential district of Cannaregio. 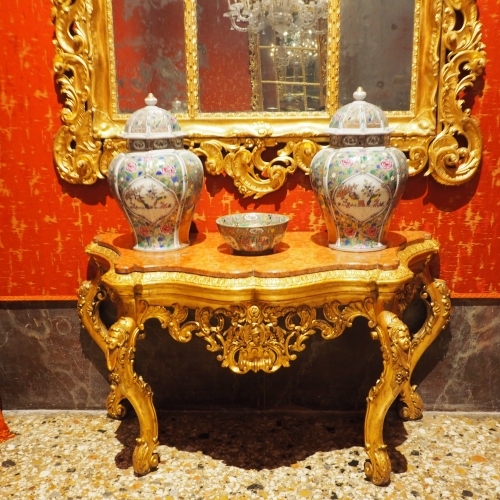 We begin from the Grimani palace in Castello that was reopened only in 2008. The palace was built in the Tuscan Roman Renaissance style on the site of a pre-existing building for the powerful Venetian family Grimani. Already back in that time distinguished visitors were lead over to the ‘Museum’, as this palace was referred to, in order to admire the amazing collection of statues of Giovanni Grimani in a specially designed room, la ‘Tribuna’. Through the golden staircase we reach the unique Foliage room, the Tribuna, the room encrusted with marbles dedicated to the Doge Grimani and the rooms dedicated to Apollo, Calliste, Psycho and Bosch (4 Visions of the Afterlife). After this visit we will walk through quiet areas in the residential district of Castello.